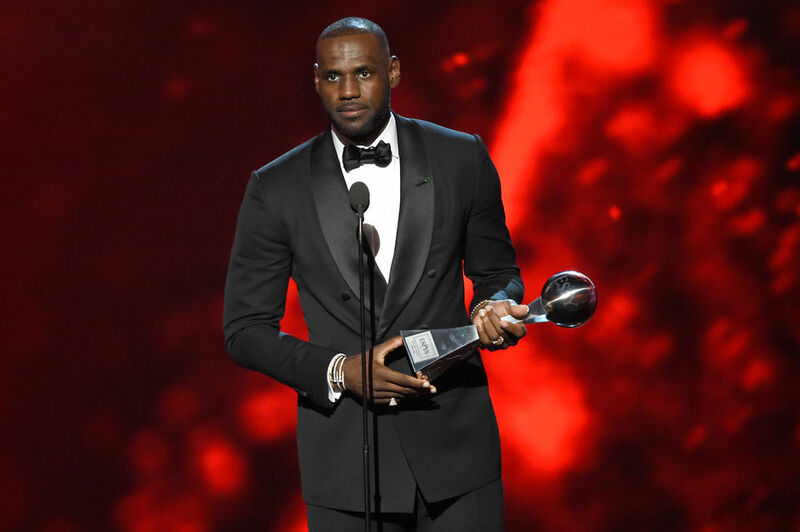 CLEVELAND, Ohio -- Besides being the world's greatest basketball player, LeBron James is also an aspiring entertainment mogul. 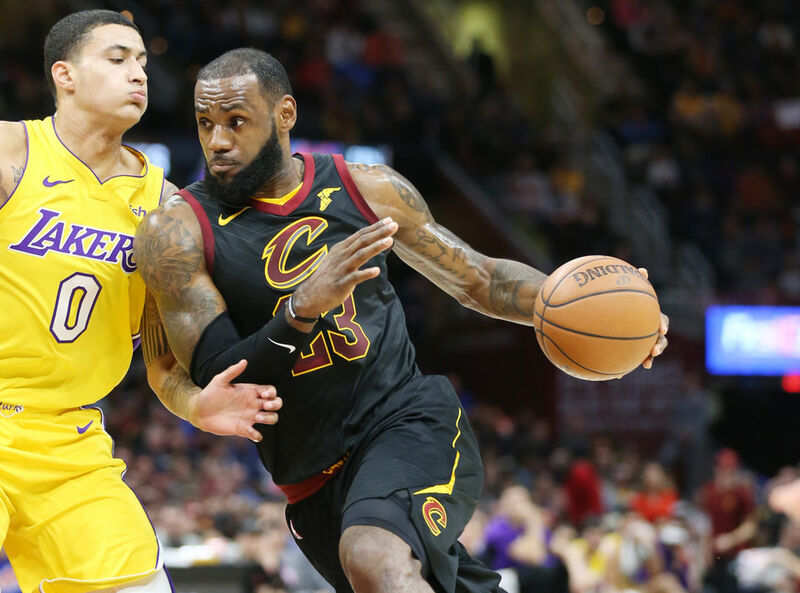 One of the reasons cited for his decision to join the Lakers is the proximity to his L.A.-based production company SpringHill Entertainment and social media platform Uninterrupted. 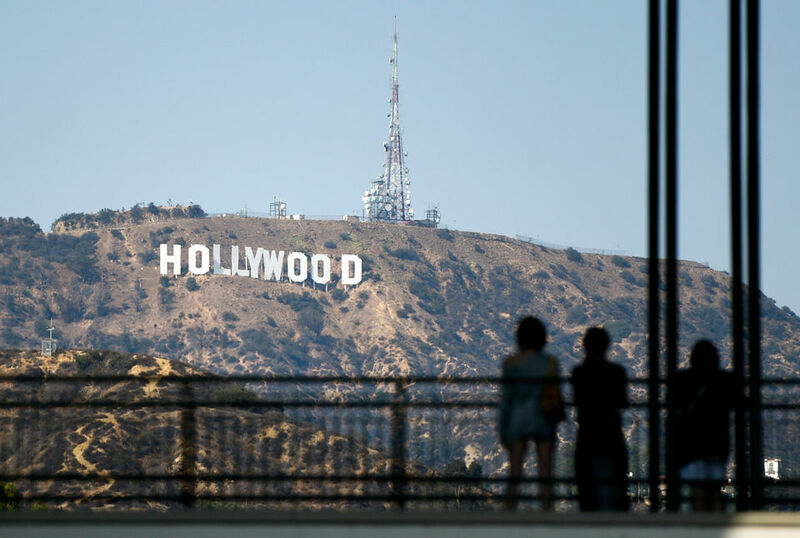 Sure, James did just fine running the business, which he co-founded with Maverick Carter, from Cleveland, but his presence in Hollywood can only help SpringHill raise its profile as it shops projects to the big studios and networks. James' interest in the entertainment industry isn't new nor is it going away. He first burst onto the scene in front of the camera guest hosting "Saturday Night Live" in 2007. 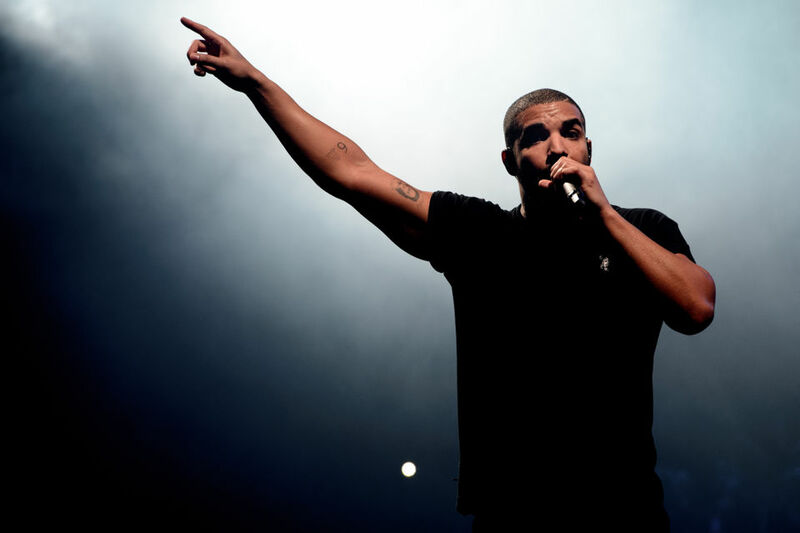 Since then, he's produced a number of successful shows and has a slew of projects in development to keep him and Carter occupied for the length of his new contract and beyond. 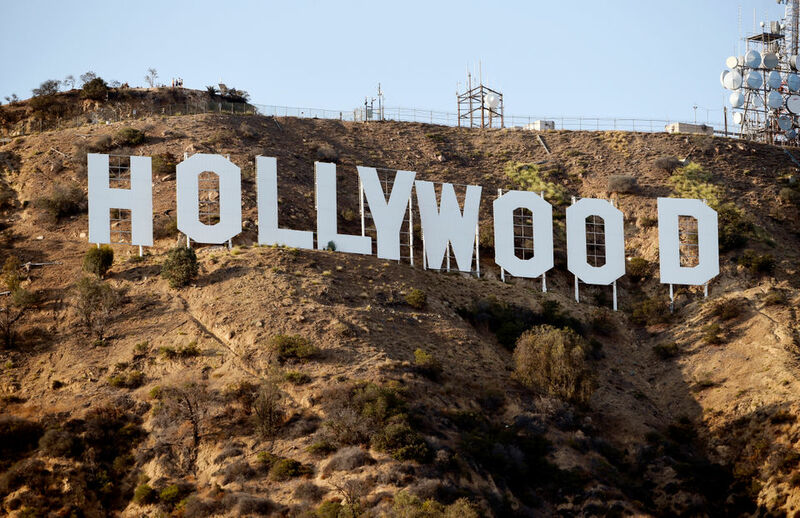 Here is a look at James' entertainment TV and movie ventures of the past, present and future. James had his moments as Jimmy Kimmel's co-host at ESPN's annual awards show in 2007. His performance as of "My Prerogative" in full Bobby Brown get-up was, how shall we say, memorable. This 2008 documentary told the story of James' rise to fame, his St. Vincent-St. Mary teammates and their collective journey to the top of the high school basketball world. 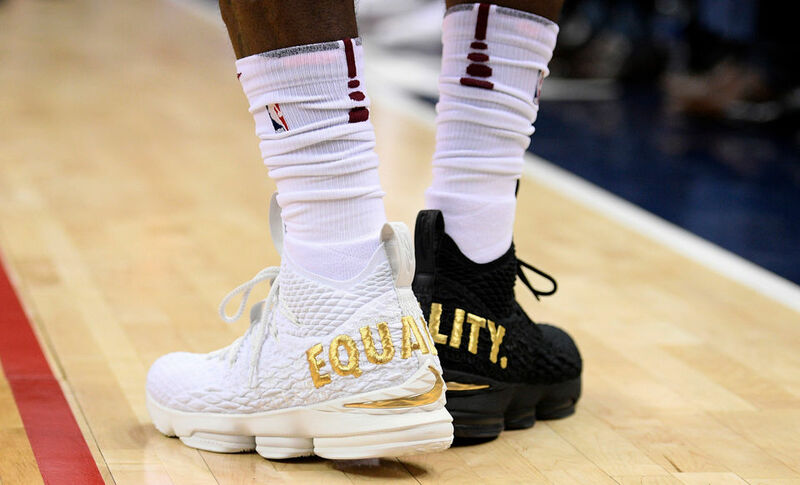 SpringHill's first venture into the entertainment industry was a dramedy partly based on James' experiences as a young basketball phenom at the start of his pro career. 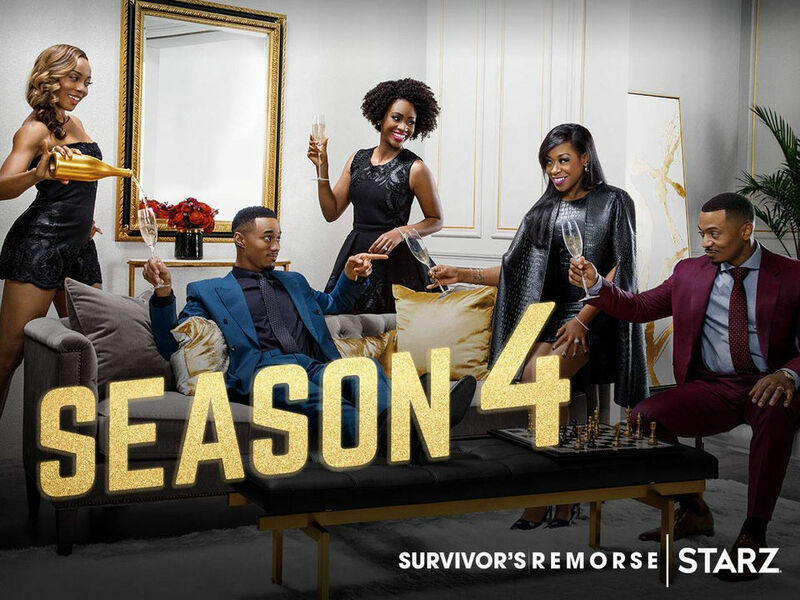 The series lasted four seasons on STARZ before ending in 2017. 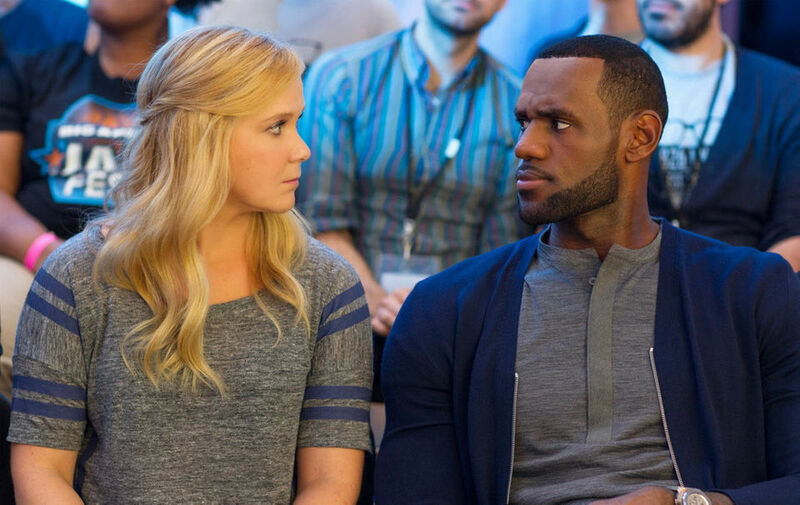 James played an exaggerrated version of himself as Bill Hader's best friend in this 2015 romantic comedy headlined by Amy Schumer. 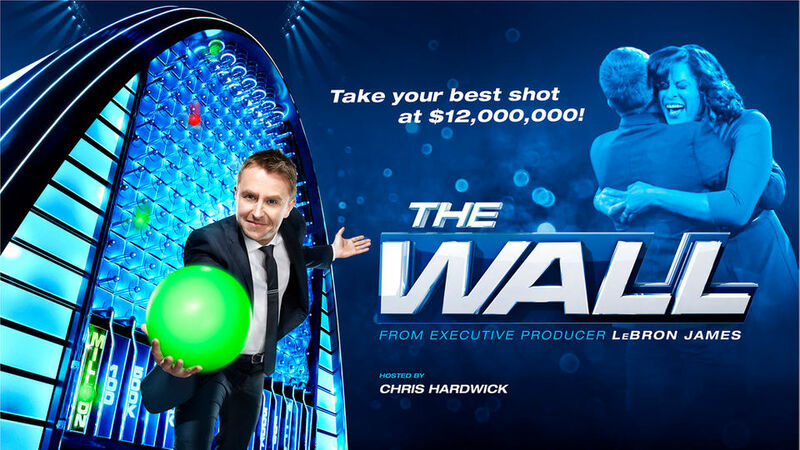 James' love of game shows was brought to life in "The Wall" in 2016. The premise of the hit NBC show -- contestants drop balls into a giant Plinko-like board to win big money -- was inspired by one of his favorite games shows growing up, "The Price Is Right." The show's upcoming third season remains in limbo following allegations of abuse by host Chris Hardwick. James' 2016 CNBC reality show mixed elements of "The Apprentice" and "Shark Tank" as four Cleveland entrepreneurs mentored fledging local businsseses in opening up their own brick-and-mortar stores. While some of the winning businesses have since closed, Cleveland Bagel and handbag designer Fount remain as the program's success stories. James supplies the voice of a skeptical Yeti named Gwangi in this animated film from Warner Bros. due in theaters on Sept. 28. 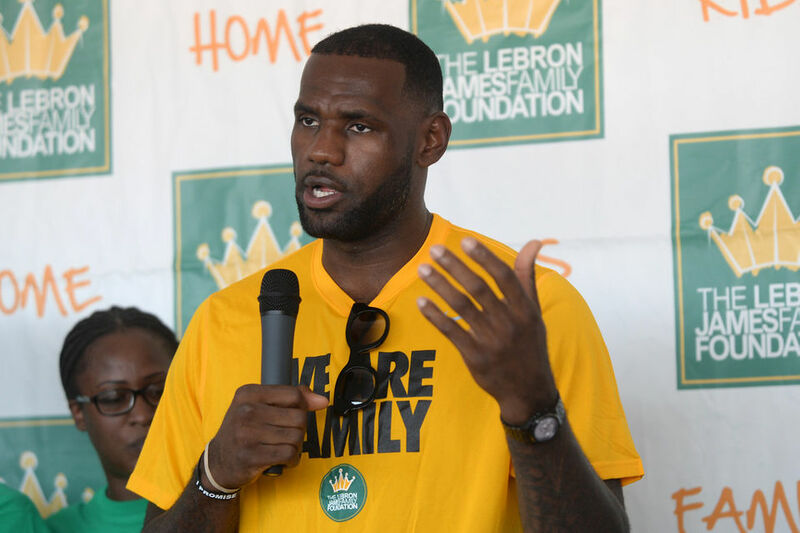 "Super Size Me" director Morgan Spurlock was originally attached to this docuseries chronicling the opening of the LeBron James Family Foundation's I Promise School in Akron. Spurlock, however, was ousted early on in production after admitting to a history of sexual misconduct. SpringHill says it remains committed to telling "this important story of the I Promise School." Produced by James, Carter and directed by Sharmeen Obaid-Chinoy ("Saving Face"), this HBO Sports documentary centers on the hardships of unpaid NCAA athletes and the institutions that make billions off of them. The film premieres on Oct. 2. This three-part documentary for Showtime will examine the modern NBA and the league's impact on pop culture. The project from director Gotham Chopra ("Kobe Bryant's Muse") is expected to hit cable later this year. James' multimedia platform for athletes, Uninterrupted, produced this Netflix documentary about Vince Carter's long career and impact on the NBA. Another game show, this one exclusively on Facebook. Celebrities go head-to-head in a series of over-the-top challenges to win money for charity. The first season wrapped in February. House Party remake The original 1999 comedy starring Kid N Play was one of James' favorite movies as a kid. Now, he's producing what SpringHill describes as neither a remake or reboot, but a "fresh re-imagining" of the franchise. Perhaps the most significant effect, at least from an entertainment standpoint, of LeBron in L.A. is that maybe this long-awaited sequel to the Michael Jordan/Looney Toons animated/live-action classic finally gets off the ground. This upcoming STARZ docuseries focuses on a youth football league founded by 2 Live Crew rapper Luther Campbell. This aspirational docuseries follows former Duke star Jay Williams as he coaches a group of troubled high school basketball players in Newark, New Jersey. The show premieres July 18 on YouTube Red. 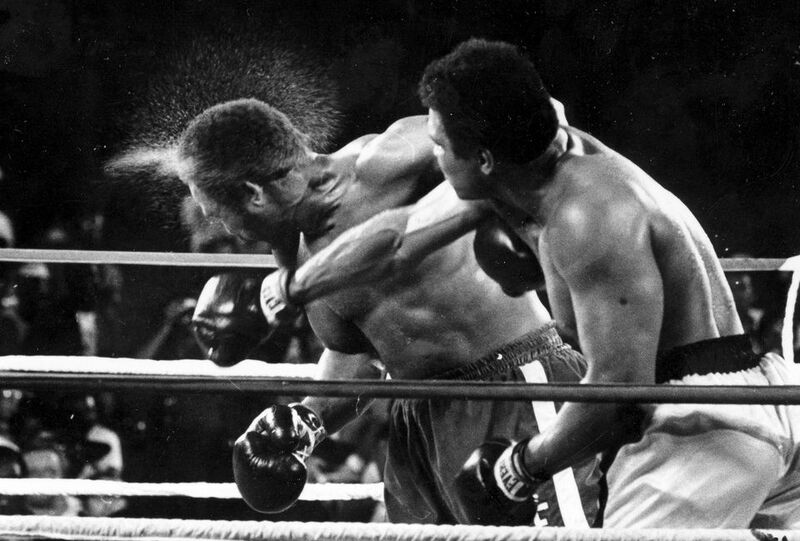 James is teaming up with director Antoine Fuqua ("Training Day") and HBO for a multi-part documentary about the legendary boxing champion. 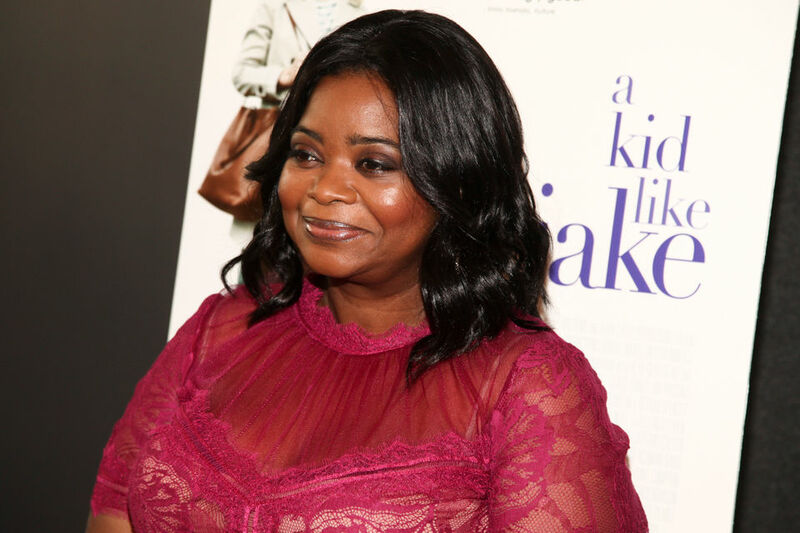 Oscar winner Octavia Spencer is set to star in this limited series about Walker-- an entrepreneur, social activist, and America's first black millionaire. Announced last fall, the series could be headed to Netflix. LeBron is teaming up with fellow entertainment mogul Drake in this revival of the cult favorite gritty British crime drama on Netflix. This single-camera comedy series for HBO is set around a sneaker store in Los Angeles. The project was announced nearly a year ago, but there's been no word since about its status. James and "Scrubs" creator Bill Lawrence teamed up in 2016 to announce this CBS comedy that puts a modern twist on "The Jeffersons. However, the sitcom, about the first white family to move into a newly gentrified black neighbhorhood in Cleveland, has yet to see the light of day. CBS first announced this project from James and two of the writers from "How I Met Your Mother" in 2016, though there's been no word on its fate since then. The comedy was supposed to be about a group of ambitious assistants working at a sports agency in Chicago.